Click here to pick up a copy of B.B.’s book and learn more. All right. We have a bit of an Oilfield Christmas thing. I’m sitting here with Barbara Denson. How are you doing today, Barbara? B.B. : Wonderful. How are you doing, Mark? Barbara has done something and you know I bring stuff on the show all the time where I go, “I’ve never seen this before, it’s awesome.” But, Barbara has done something that really is I’ve never seen before and it’s awesome. Barbara, what did you do? B.B. : I wrote what I believe is the first ever pro-oil and gas children’s book. Yay. Mark: How incredible is that, right? There’s so much misinformation out there and a lot of it is intentional. And, we, as an industry have not spent the time to help educate our young people and, Barbara you saw that gap. What’s the story? Where did – how did the Oilfield Christmas book even come to existence? B.B. : So, what happened was I’m originally from Pittsburgh, Pennsylvania and I ran into a cousin that I hadn’t seen in decades. And, as we were visiting getting caught up on things I’m hearing all about what she’s doing with her life now and I didn’t get a chance to talk. And in the course of which she was here in Houston and she started saying really nasty things about oil and gas not knowing that I’m involved in oil and gas, that my husband is involved in oil and gas, all my friends are in oil and gas. And, it really bothered me a lot because we like to think, you know, those nasty people out there that are idiots that say bad things about us, but this is my cousin and she’s smart and she’s bright, well-educated, lovely. If she was sitting here, you would want to talk to her, you wouldn’t want to talk to me. She’s just awesome you know. And so, I thought about it a lot and I thought how – why is it that she thinks we’re so awful. I mean we’re half the same person, we’re cousins you know, we went to the same high school even, so where did our lives diverge. And I thought, well, when I graduated, I went to work for Amoco as a petroleum engineer. And so, my entire adult life has been involved in oil and gas, my friends, my neighbors, everybody. She became a nurse and she lives in Atlanta and so, I thought, well, she gets her information in a different way than I do. I get mine from my life, my friends, everybody, and my work. And, where does she get hers then? TV shows, movies, in the news, they only put bad news about us out there. And, I thought, well, you know, we don’t even attempt to put great news out there about us or say the great things that we’re doing. I was talking to a friend yesterday and she said, you know you could say you’re singing to the choir, but choir is not singing. [Laughs] Maybe she was quoting someone, but it was eye-opening for me. And I work now for an environmental company and my job has been listen to oil and gas companies, listen to what their problems are. And when you think of something – or hear something that you think, oh, our company can help them with that, we’ll just whip it out of our toolbox and say, we can help you with this. And, the more I thought about it I thought the biggest problem that we have is that everybody hates us, I mean they really do. And if they didn’t hate us so much, then we wouldn’t have all the regulations, we wouldn’t have all the protests, we wouldn’t have, you know, all the major problems the industry has. So, what can we do about that that could change that and this was the only thing I could do on my budget, so I wrote an Oilfield Christmas book for children. Mark: But, it’s such a great idea and you’re absolutely right. We as an industry are guilty of not telling the truth. Not opinions, but the truth about what we do, how we help the planet. How things like safety and health environmental are mantras for all of us, right? That you can’t bring a world on a poverty without cheap abundant energy which we provide. I love the idea of – I love the fact you took the time to write the book. It’s Gary the Go-Kart: Wind Blows. If people want to purchase a copy of your book, where should they go? B.B. : It is online everywhere; Amazon, Barnes and Nobles, Ocean Star Offshore Gift Shop. 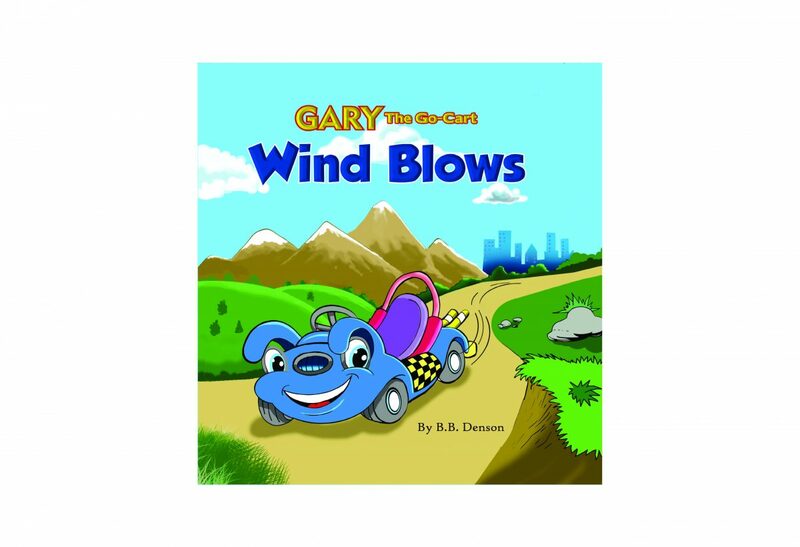 Anywhere you go, look for Gary the Go-Kart: Wind Blows and know this is the first in the series. I’ve got planned, the second book is almost done and I’m starting to work on the third one already. Each of these books I can just get into two topics, so I’m going to take it a little bite at a time and keep going after it. Mark: Look, folks we’re going to put links to everywhere in the show notes, so you can just click and go pick one of these up. I mean it’s the Holidays, you have children, you have grandchildren. You’re in the industry, do this. It’s the right thing to do for all of us. Buy this Oilfield Christmas book! Barbara, thank you so much for your time today. B.B. : Thank you so much. I enjoy talking to you, Mark. Mark: So, folks I hope this helped. We will see you next time.